$0 Down, $0 Security Deposit, $0 1st Month Payment, $0 Due at Signing. On approved credit to highly qualified customers by Volkswagen Credit through participating. Excludes tax, title, license, options, and documentation fee of $396.50. Call 973-248-4820 for more information. *College Graduate Program is subject to credit approval and is available to U.S. citizens or permanent residents who graduated from a U.S. or Canadian accredited college/university no more than 24 months prior to credit application. Applicant must be employed in a full-time permanent position or have a written commitment from a future employer. References, proof of income, copy of degree or official transcript, and contact information for college/university required. Credit history is not required, but existing credit must be in good standing and have no previous derogatory credit. Program good from January 9, 2019 to January 2, 2020. Program not valid in Puerto Rico. **Volkswagen of America, Inc. will pay a $500 Contract Bonus when customers eligible for the College Graduate Program lease or purchase a new, unused Volkswagen vehicle through participating dealers and finance the lease or purchase through Volkswagen Credit from January 9, 2019 to January 2, 2020. Excludes Certified Pre-Owned vehicles. May not be combined with 2014-2015 VW TDI programs (V1901-79L and 81R). Subject to credit approval by Volkswagen Credit. Bonus must be applied toward customer lease or purchase and is not redeemable for cash. Offer not valid in Puerto Rico. Call 973-248-4820 for more information. *Volkswagen of America, Inc. will pay a $500 Military and First Responders Bonus for qualified active duty U.S. Military service members, U.S. Military Veterans (Veterans must be within 24 months of active duty), U.S. Military retirees, First Responders (Police Officer, Sheriff/Sherriff’s Deputy, Correctional Officer, State Trooper, Federal Law Enforcement Officer, Firefighter (career or volunteer), EMT, Paramedic, 911 Dispatcher/Operator) and their family household members who purchase or lease a new, unused MY14-MY19 Volkswagen model (excluding Golf R) through participating dealers from January 3, 2019 to January 2, 2020. Proof of military/first responder eligibility and residency of family household member (if applicable) required. Bonus applied toward MSRP and is not available for cash. Fleet customers are not eligible. One bonus per VIN. Eligible customers may receive this bonus on up to two Volkswagen vehicles per year. Call 973-248-4820 for more information. 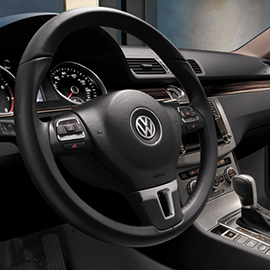 Take one of our excellent VW models out on the road and experience what you’ve been missing. Was able to detect problem on my car. Excellent jpb. Friendly staff. Explains very well about The problems and how it is fixed. Very knowledgable. 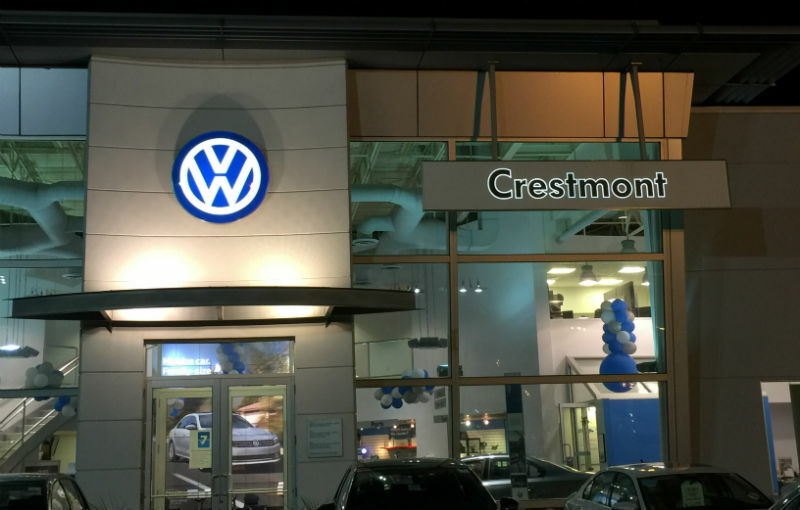 When it comes to serving the needs of new and used car buyers in the Pompton Plains area, no one does it better than our team here at Crestmont Volkswagen. Our sales, service and parts department is set on going above and beyond what you would normally expect to provide customers with an experience that will leave a lasting impression. Our number one goal here at Crestmont Volkswagen? That is to make sure that you drive off our lot with a smile on our face. Here at Crestmont Volkswagen, we have one of the most extensive selections of new and used VW vehicles in the Pompton Plains area. Whether you want the fun and exciting VW Golf, or the rough and rugged VW Tiguan, we have exactly what you are looking for on our lot. Our experienced service department can also take care of any issues that you may be having with your vehicle. It doesn’t have to be a VW to be serviced with us here at Crestmont Volkswagen either!